From a committee formed to help women connect across disciplines, a new coalition of women emerged in 1989. Here are two co-founders’ recollections of the early days. In September 1989, four Board members of The League of Professional Theatre Women formed a special events committee consisting of Joan Vail Thorne (dramatist, director), Lenore DeKoven (director, producer, educator), Doris Cole Abrahams (producer), and Elsa Rael (playwright, author). It was the beginning of the season and our mission was to come up with additional events and fresh programming to present to the general membership. Among many of the ideas presented was one by DeKoven, who told us of an incredible three-day event sponsored by the West Coast Women in Film for the purpose of inter-organizational networking. She thought we might duplicate such a project on the East Coast. Although we loved the idea, we agreed it would undoubtedly take several years to organize the funding through grants, arrange for housing, venues and so on. Elsa wanted something more immediate--an invitational meeting with the presidents and officers of “sister” organizations in related fields of the performing arts. The purpose of such a meeting would be the sharing and discussion of mutual problems and goals, and to become aware of other organizations in the field. The response was beyond enthusiasm! A catered luncheon meeting was held at the home of then League co-president Lynda Sturner and was chaired by co-president Berenice Weiler. Two Board members from each of the organizations came, excited to participate. We called the organization The New York Coalition of Professional Women in the Arts. Upon hearing of this new organization, Women In Communications Inc., or WICI, in the person of Fortuna Calvo Roth, came on board and we added “and Media” to the title. A steering committee was established and we were off and running. The first event was an open meeting of the general members of all the groups, which took place on June 13, 1990, at the YWCA in New York. More than 300 people attended. The interest and need were clear. At that point, the League did not have actors as members, and so the acting unions had not been invited to that first luncheon. 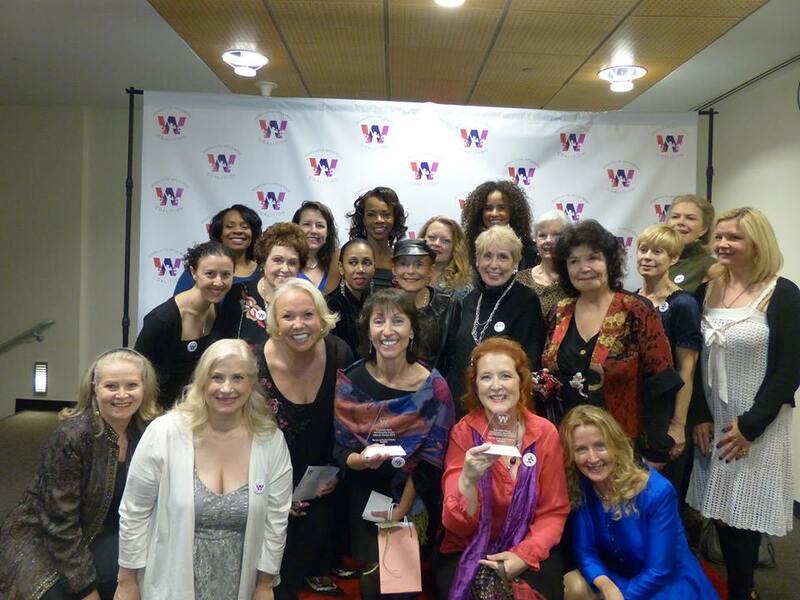 At the YWCA event, Shellen Lubin represented all of the acting unions (AEA, SAG, and AFTRA), and soon they became a part of the organization as well. The first SAG rep was leslie Shreve, who later became the first and only Past President of the organization who is also on the Advisory Board. From that point, we continued to plan events to bring women in the arts and media together. We became a corporation, then a 501(c)(3), and through various presidencies and co-presidencies, evolved events and programs to connect the members of our member orgs with each other and give greater visibility to issues of common concern, Some events included Wellspring (panels of accomplished artists talking about where in their childhood and early years their artistry came from and was nurtured and developed), BSINE (Blatant Self-Interest Networking Event) and JAN (Just About Networking), the Meet and Greet which introduced an organization to all Coalition members, and, more recently, the Cross-Organization Meet-and-Greet, which introduced members of one of our member orgs to the members of another. We also developed our two large-scale Signature Events: VintAge (focusing on the work and image of older women in our industry) and the Collaboration Award Event (an award honoring two or more women from two or more disciplines collaborating together on an artistic project). In 2010, a Steering Committee was created to shift the organization into the 21st Century, and particularly into the online universe. If our goals included networking and outreach, we had to include the enormous capabilities now available on the web. We changed our name to the Women in the Arts & Media Coalition, Inc. to better suit our growing national impact as well as ease of use. Our new website, new facebook page, and a whole new expanded presence online and in social media allows for additional ways for our organization to promote our member organizations to each other and to the world. More connections, more visibility, and more opportunities for us all – that’s what we strive for – to provide a vital connection between our organizations to address issues of note to all.